I didn’t go looking for these. I found them by accident while searching for something else. As is always the case in such circumstances, their discovery was all the more delightful. I spotted two of them, though there may be more. One is in the main hall of the Hammersmith station that serves the Piccadilly and District lines. Another is on the westbound District line platform. 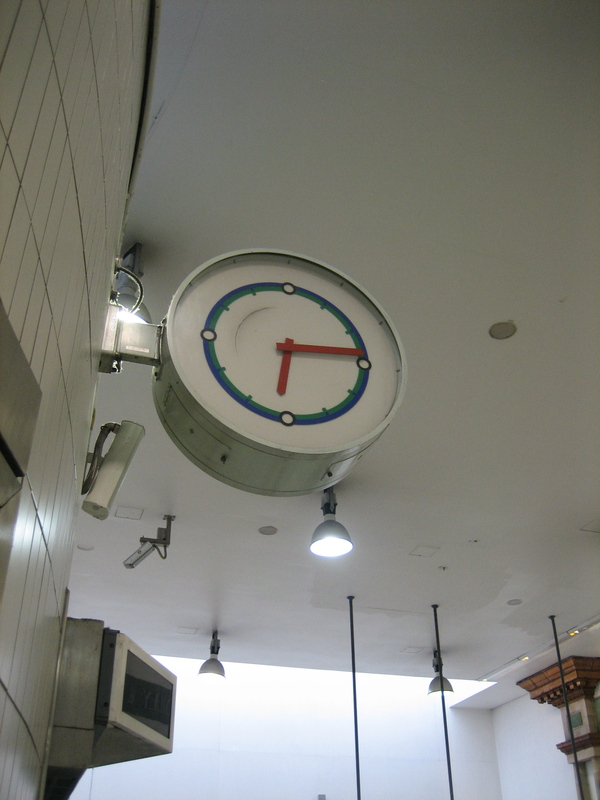 I received more than the usual number of inquisitive, not to say menacing, looks from passers-by when taking photos of the clocks, especially the one in the entrance hall. Funny how, whenever I’m taking these kinds of photographs, a message is “suddenly” broadcast over the station’s public address system reminding passengers to report any “suspicious-looking behaviour”. If it’s meant to be intimidatory, it works. I always put my camera away and beat a retreat. 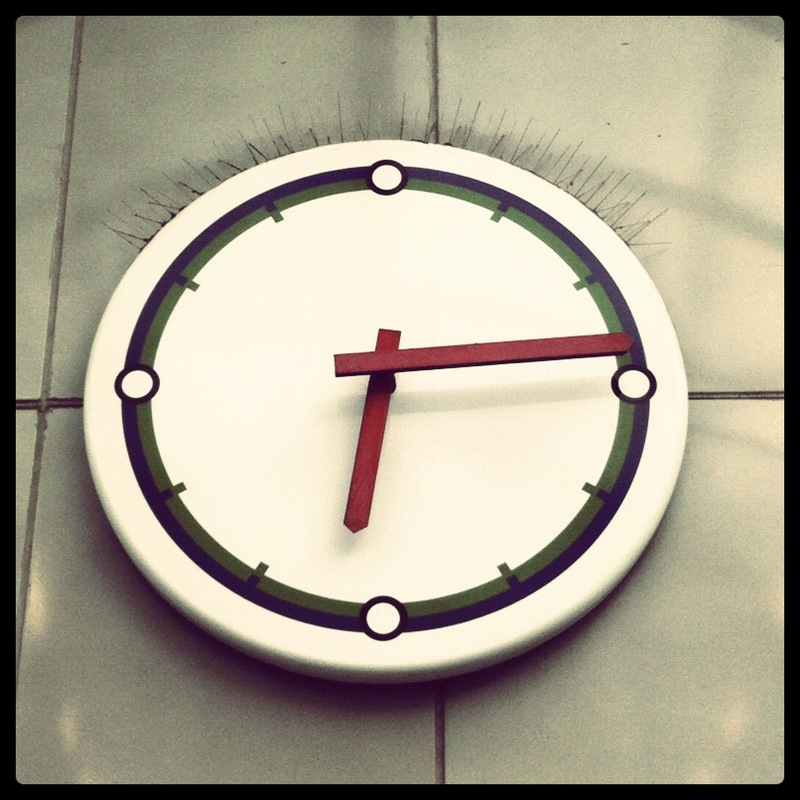 The clocks are, as the pictures hopefully suggest, completely charming. The colours of the two lines the station serves – Piccadilly (dark blue) and District (green) – form the outer ring, while the 12 hours of the day are denoted by the Underground map symbols for a station and an interchange. So simple, but so effective. 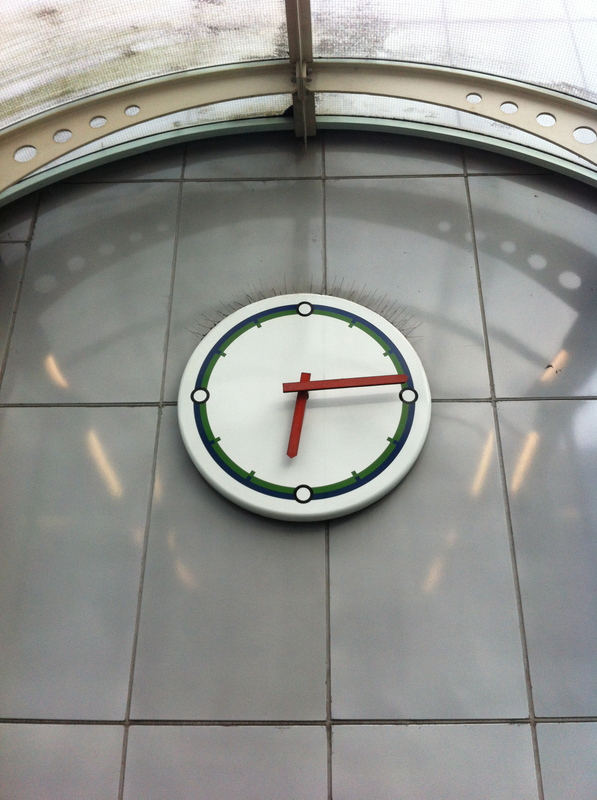 Why the hands of the clock are the colour of the Central line, which runs nowhere near Hammersmith, is another matter… although if it’s been done just to make the whole timepiece look nice, that’s fine with me. I’ve never seen these before but now I am totally in love. I want them for my house. Though they do look a little bit like Lego clocks.